June 15th. 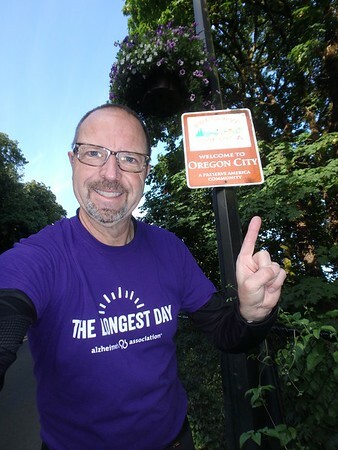 Day 1 of my "Longest day" Ride across america for Alzheimer's Association to raise awareness and continue to fight for more funding of Alzheimer's and related dementia research. I am also calling it "Schrader to Schrader" which was the motivation when the idea of doing something for they Longest day event. 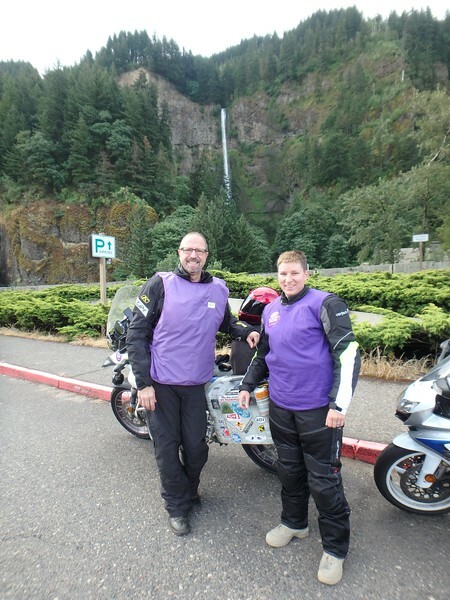 I could have done it just on June 20th summer solstice, but as this idea grew, it just made more sense to me to make it a bigger ride to engage congressman Schrader both in Oregon and in DC. 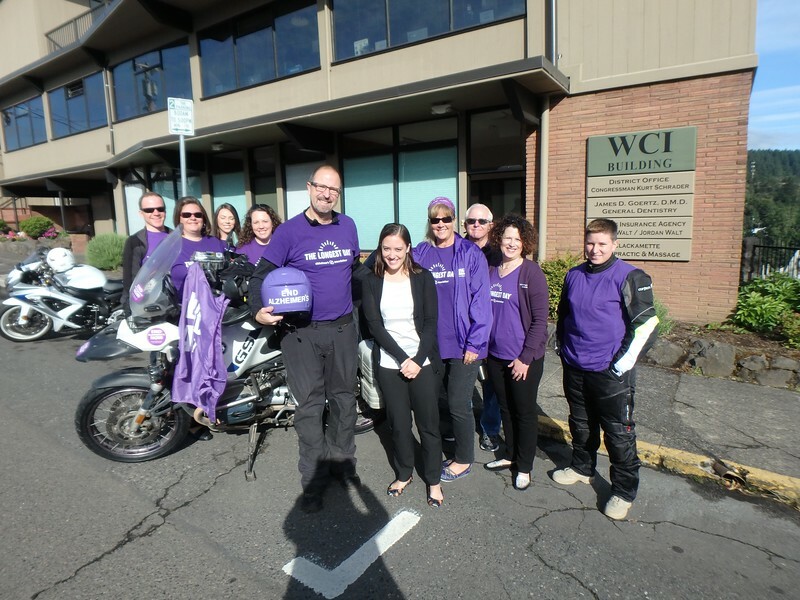 But also to include so many motorcycle riders that have experienced this disease. 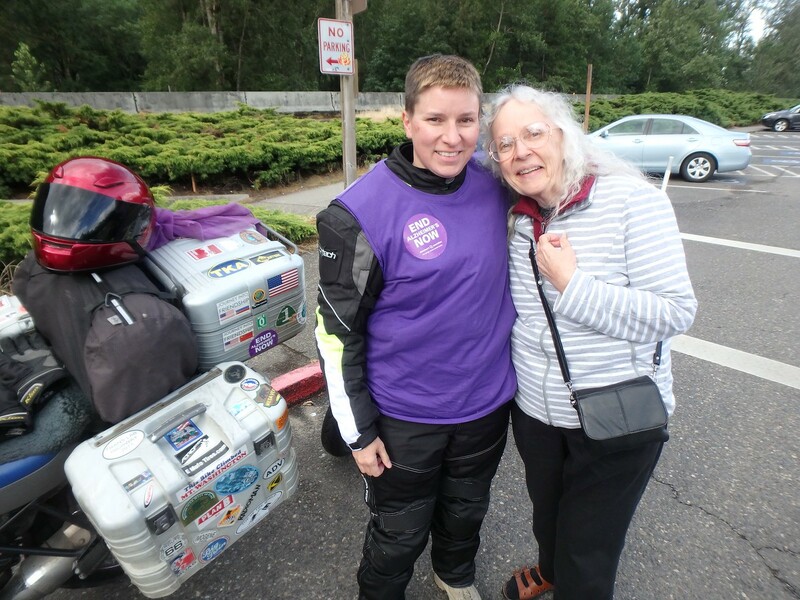 Have had so many conversations while I rode around the world, around camp fires, or between rides with those impacted. 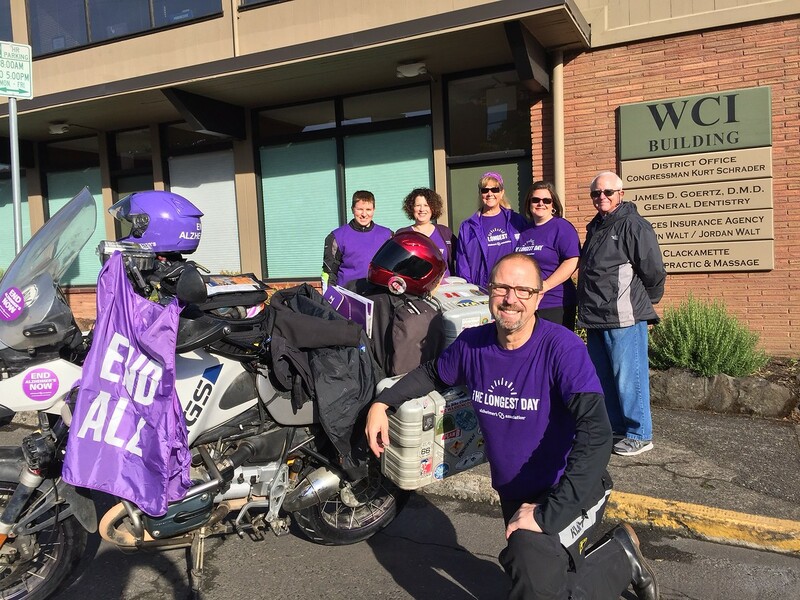 Combined my passions of motorcycle riding and Advocacy for Alzheimer's disease. 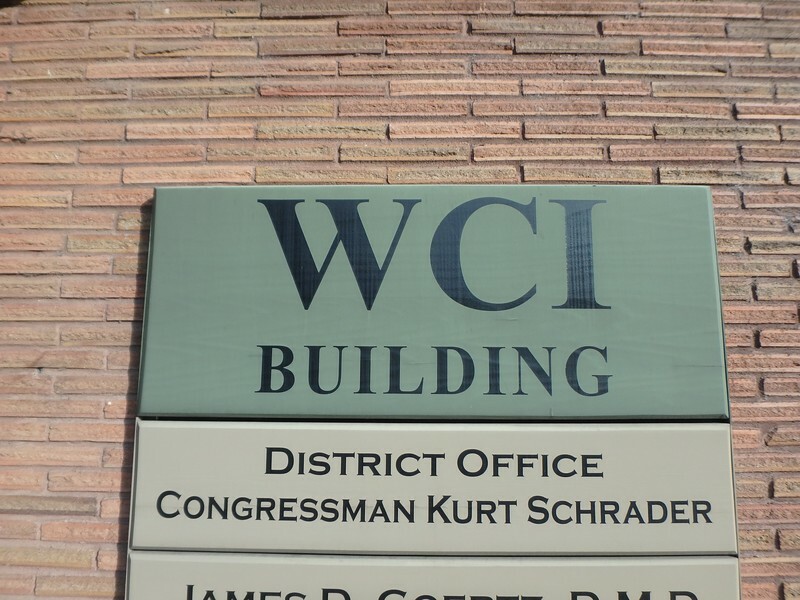 Started out with a meeting at my Congressman Kurt Schrader's office in Oregon City, Oregon. Start with the starting Mileage. Started with a meeting with the Congressmans staff to thank them for their support and to continue to be with us to help more funding and bills that help families facing this disease. Then had to bring the main contact out for a Photo!! 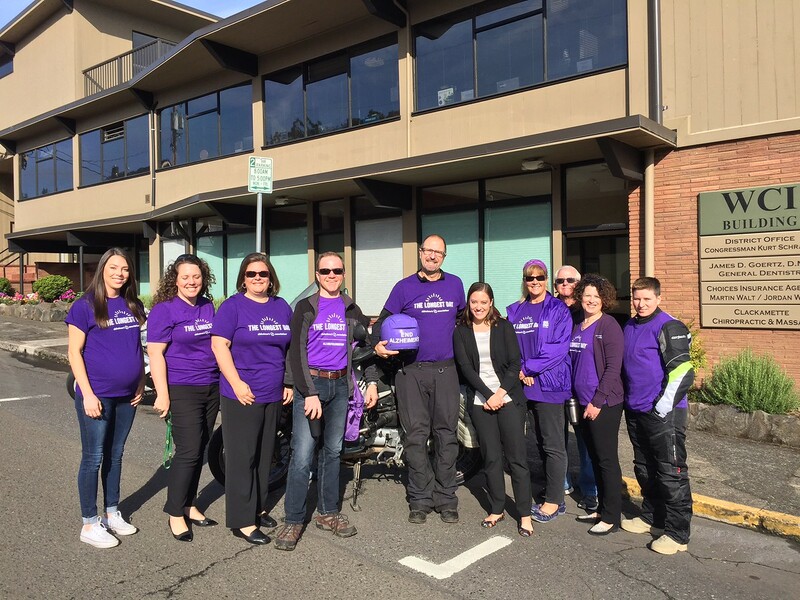 Had a group of Alzheimer's Association Oregon Chapter staff and supporters arrive to send me off! 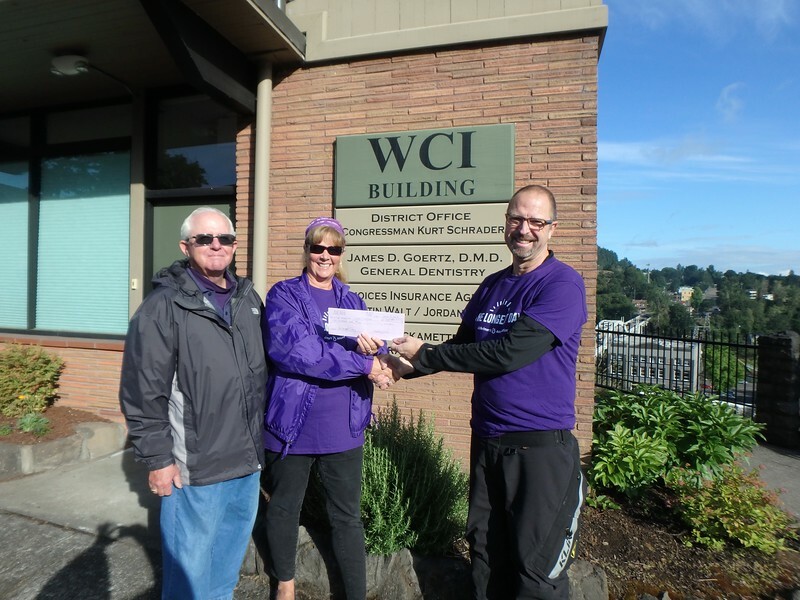 Also had one of my good friends and fellow advocates present me with a "check" donating to my efforts. Wendy!! Had one rider join me. Angel's mom has the disease and joined us at a meeting with Oregon lawmakers in Salem earlier this year. This disease is so very hard on everyone that experiences it personally. We are off! 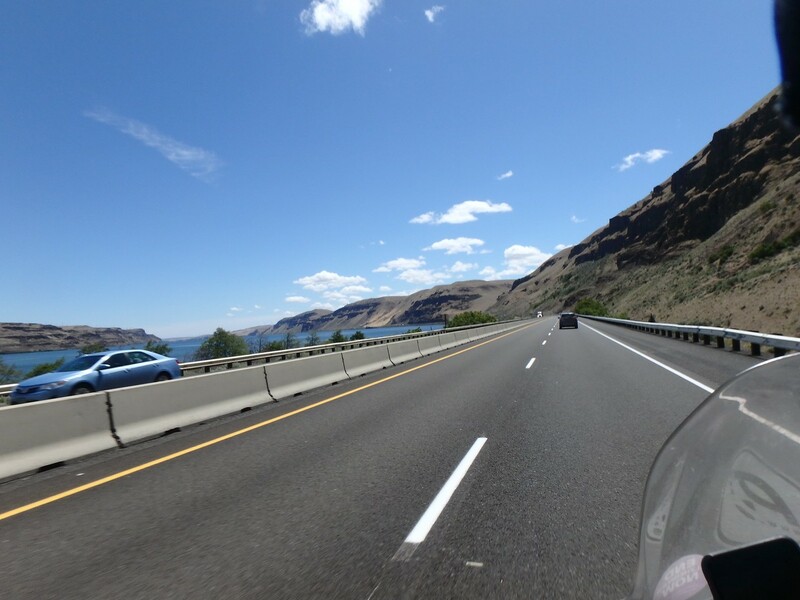 Heading east out the Colombia River Gorge. and our first stop at Multinomah Falls. One of origins biggest tourist sites. 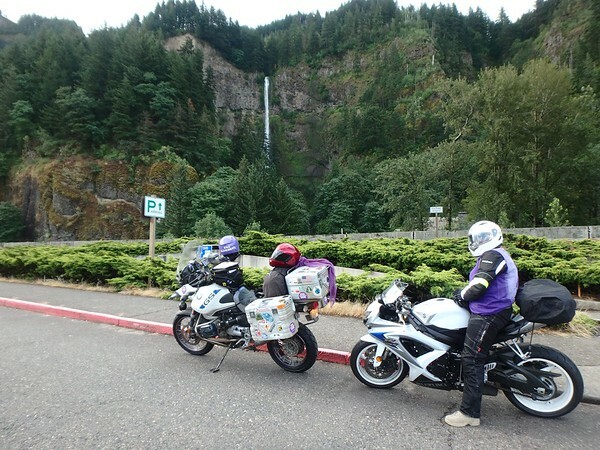 (or as Lu Fei would say "it's just a waterfall"…. Long story but still makes me laugh!). At this first stop a woman walks up to ask if we wanted a photo together. We told he about the ride. She immediately says; "I want to donate, my husband has early dementia, we need to find a cure" . WOW. Then it's back on the road again. Twist the throttle. Reflect on the adventure ahead. 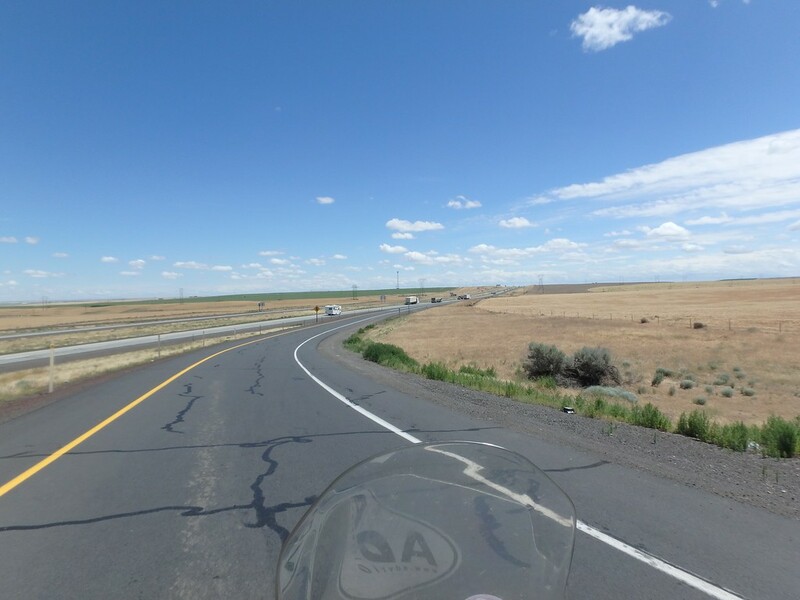 The Oregon countryside changes as I ride… I get into the groove! 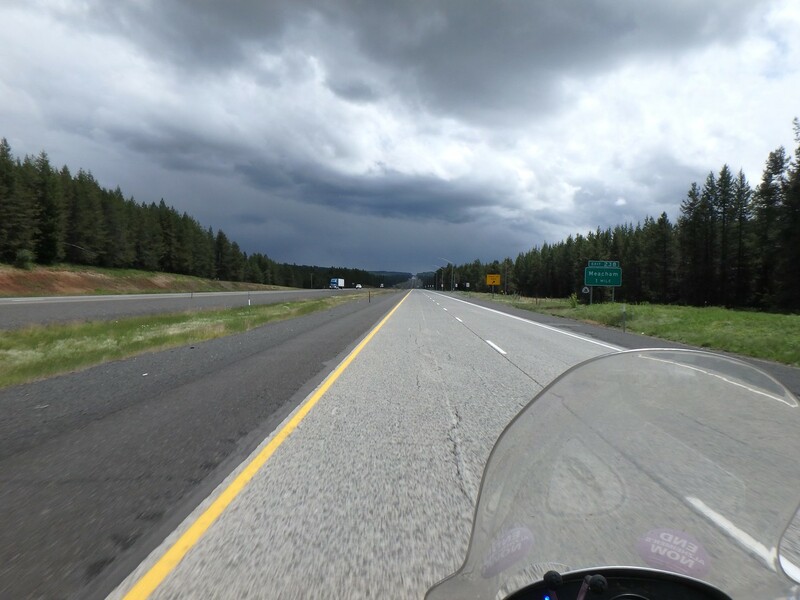 And as I get to eastern Oregon, the dark clouds build. 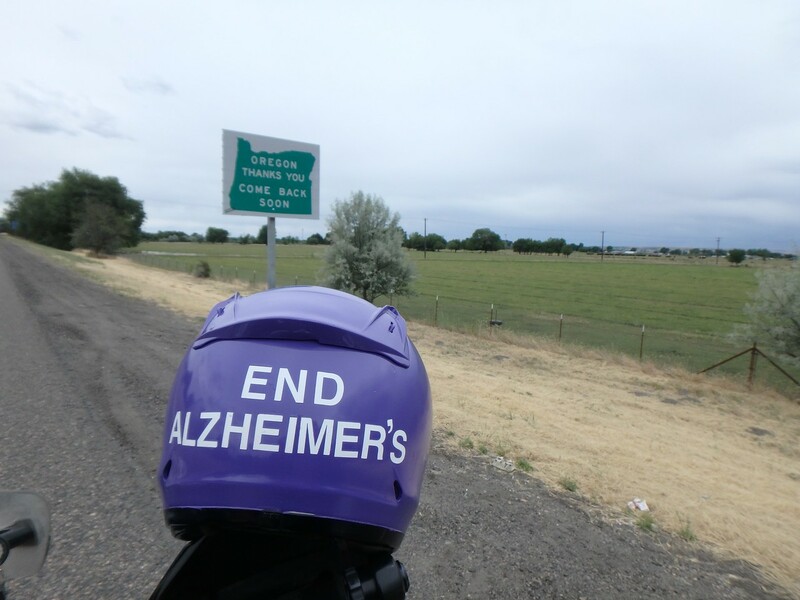 It seems like a good analogy for the journey with Alzheimer's disease. 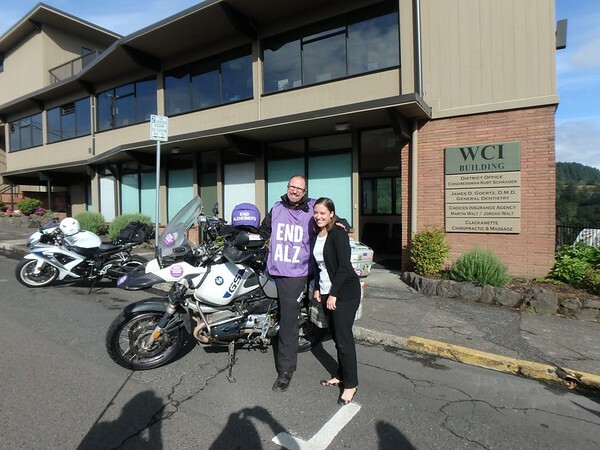 Its a journey full of unexpected experiences, some beautiful beyond words, and others much more heart wrenching and painful as the storm of Alzheimer's rolls in and changes everything. 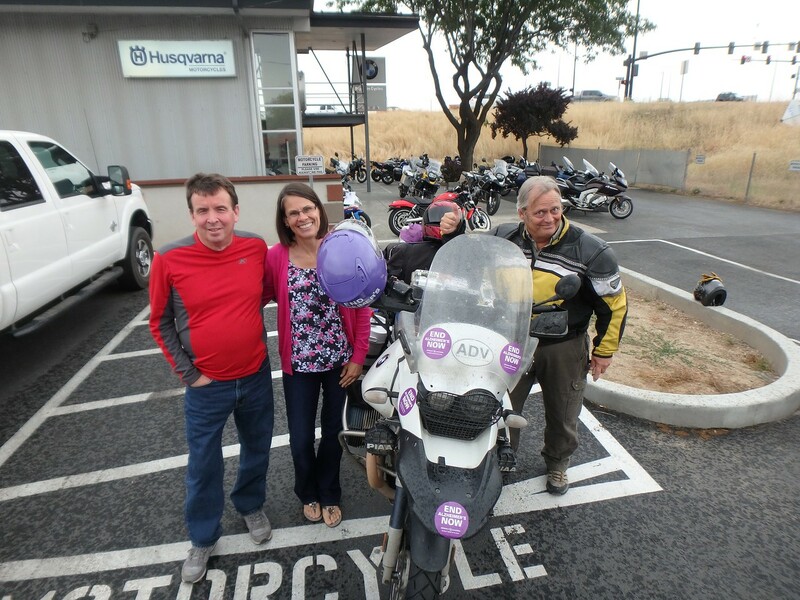 As I rolled into Boise, Idaho I had checked in with some friends….. IdahoSam rode on over on his new Ride…. and Mike and Cindy came to wish me well!! (ladybug, Sam had the rain all ready for me in Boise 🙂 So grateful for friends and supporters along the way! Mike and Cindy knew I had limited time but wanted to make sure I had something to eat. 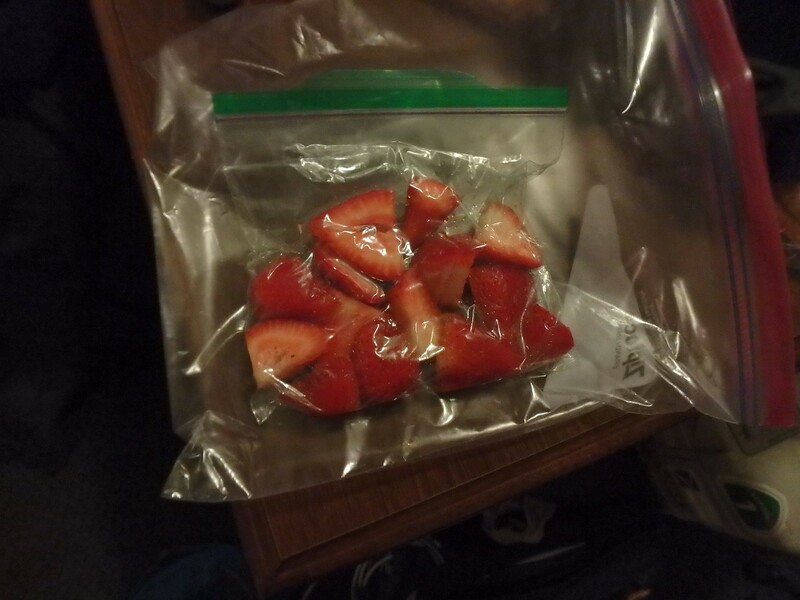 Handed me a full bag of food ! WOW. Kindness and love is really powerful. 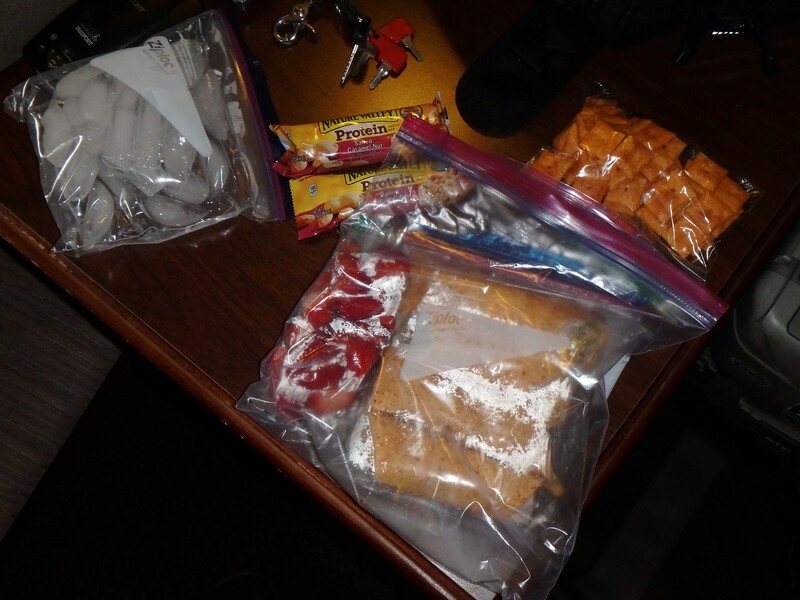 After our quick hello… I was off with a nice spread of food that I would eat for dinner! Rolled into Burly, ID.. Stopped at a cheap motel. Ending Mileage for the day. 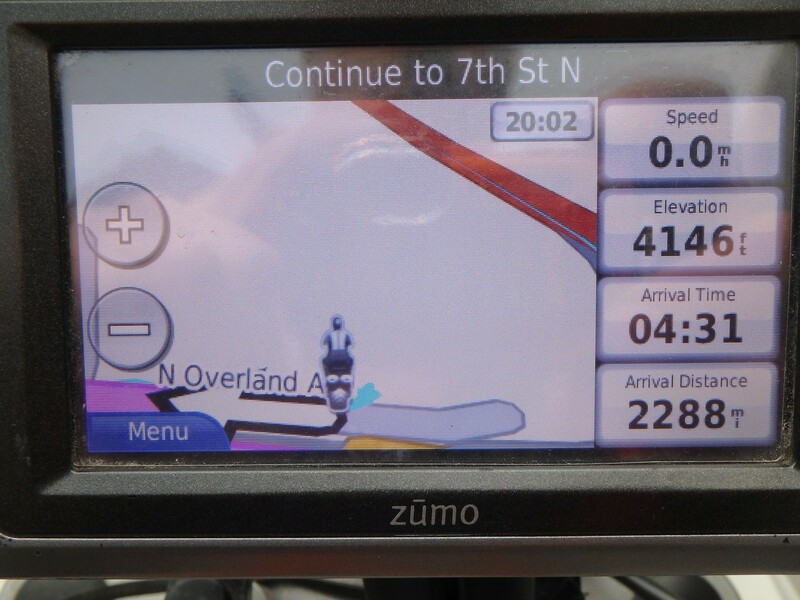 638 Miles under my belt and headed eastward. Just 2,280 Miles to Washington DC. 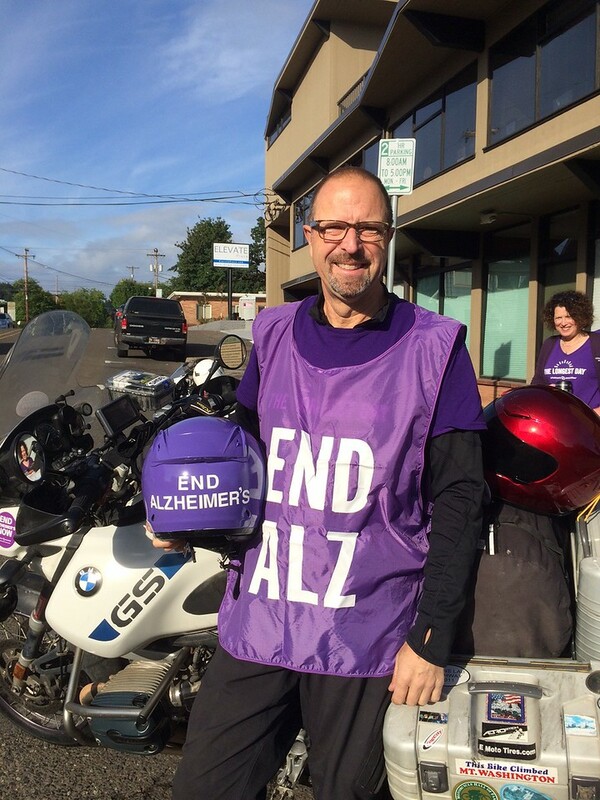 At the gas stops my Vest had people asking; "what's end Alz?"….. Had some great conversations!! 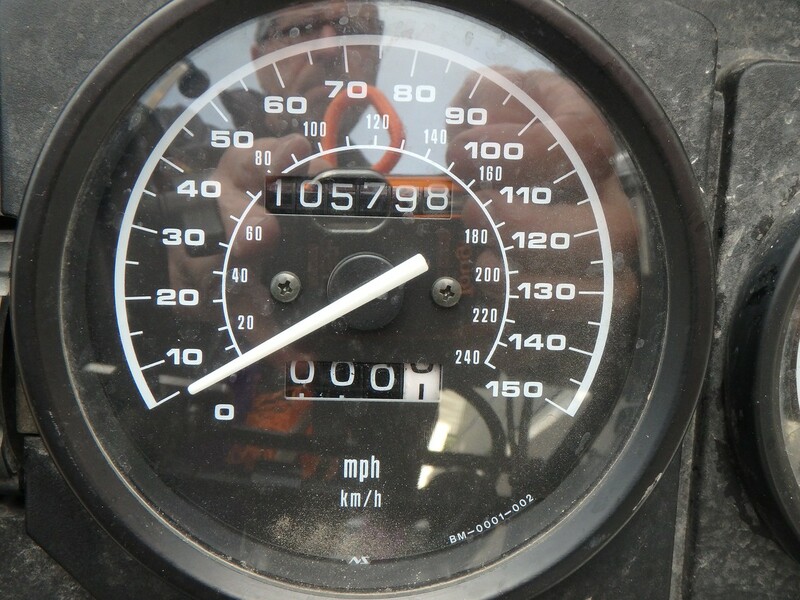 Time to stop writing the Ride Report and get back on the road! 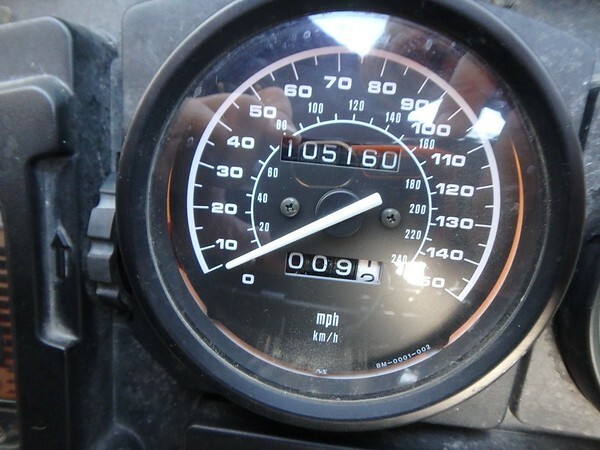 Will spot up again tonight or tomorrow morning as I get back into the groove of posting and riding.